[0:34] <oldandwise> of the many howto docs on making RPI3B into an AP, so far 'RaspAP' worked perfectly. I haven't tried, 'Kupiki' yet, but any comments? [0:40] <oldandwise> BurtyB: yeah.. sure can... they all based on same foundation..
[7:32] <helpwithBT> is this an active channel? [7:35] <helpwithBT> "unable to connect. is the device turned on?" [9:17] <shiftplusone> that notch thingy is not going to be an issue for you? [9:24] <shiftplusone> where are you located? [9:31] <shiftplusone> allied and newark might be worth looking at... unless I'm thinking of Canada. [9:32] <immibis> I don't know if they ever even read it. [9:32] <shiftplusone> but in NZ, wouldn't element14 be cheaper when shipping is taken into account? [9:51] <shiftplusone> ah, so an actual pcb. Thought you'd go with something like vera/stripboard to start with. Is that made with fritzing or something? 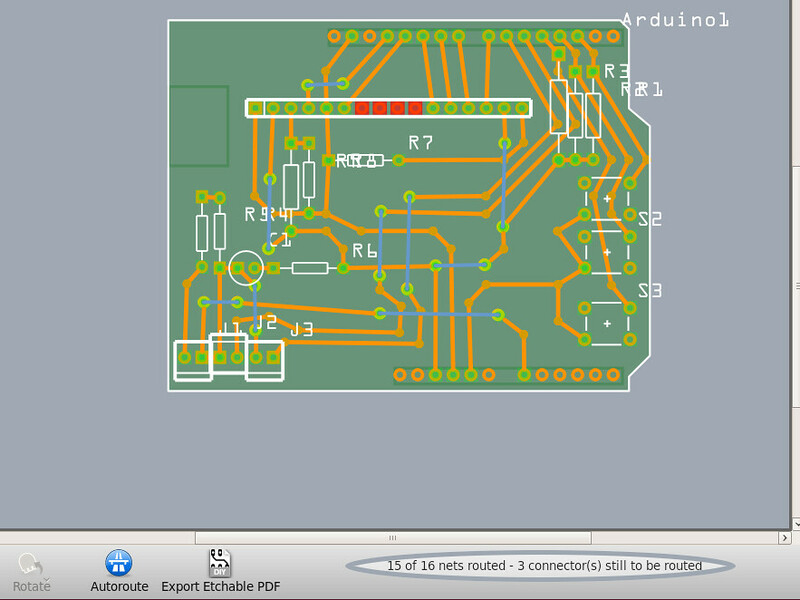 [10:05] <shiftplusone> kicad? I guess the diagonal regulator (or whatever it is) you've got on there made me think it was fritzing. 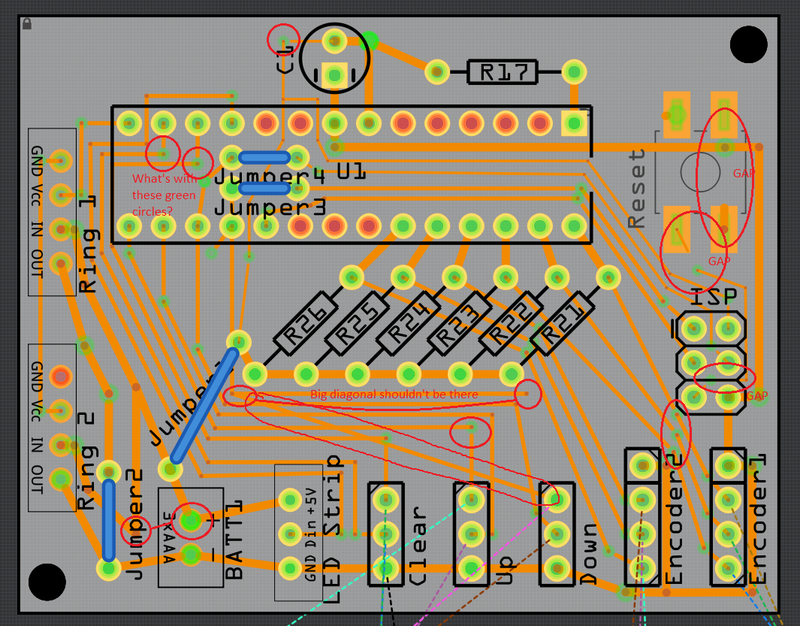 [10:07] <Ben64> does fritzing do diagonal? [10:30] <gordonDrogon> whos board is that? [10:32] <gordonDrogon> Ben64, is that your board? [10:33] <gordonDrogon> oh well, whoever's board that is, I can lend a few moments to get it fixed up as I use Fritzing a lot, however I'm now going to be offline for a few hours, so ping me if you like. [10:34] <shiftplusone> gordonDrogon: that was just me typing 'fritzing pcb' in google image search and most of them are like that. [10:35] <shiftplusone> iKarith: heh, thanks. Seems to have made BBC news. [10:40] <shiftplusone> I rarely cross-compile, since we have an arm build server. I use qemu, but only in user, not system mode. [10:41] <shiftplusone> what are you planning? [10:44] <iKarith> At this point I'm going to have to start all over again from scratch working with pi-gen, and I still need to produce both x86-64 and armv6+hf OS images… I'm trying to make the process of building and testing them as fast as possible. Ideally I'd like to automate some of the testing. [10:45] <shiftplusone> ah, I have a few ideas brewing to do something similar, but don't have the time to actually implement it. [10:47] <iKarith> I didn't have time to understand what to implement. Too many other issues a bit higher priority. We need a DKMS package to build an appletalk module (and divert the Debian-provided one on Debian systems), and DKMS + kernel-package isn't something I've quite wrapped my head around yet. [10:48] <iKarith> Debian's netatalk is almost where I need it now in sid, and I can make like changes in stretch. [10:48] <iKarith> Mostly Debian doesn't install some headers I need. [10:49] * iKarith stabs java. [10:50] <shiftplusone> confidence that all nightly images are shippable. [10:52] <iKarith> In my case, I'm literally extracting the appletalk module from a current kernel and building it without MacIP so we can use macipgw with it. [10:54] <iKarith> Ivan's scripts for doing all of this were undocumented, brute force, and fragile, so I'm trying to do it all right. [10:55] <shiftplusone> It shouldn't be particularly tricky. Convert it to an our of tree module (the kernel has documentation on that), add your patch, copy dkms magic from an existing debian package and you should be set. [10:57] <iKarith> Config option. Debian turns it on, we need it off. And Raspbian doesn't provide an appletalk module at all, so we don't even have to divert there. [10:57] <iKarith> It's mostly just me spending time to read the documentation. [10:57] <iKarith> But I'm glad to know the process is not supposed to be complex. [11:01] <iKarith> I need to just create one xfvb service (easy enough) and leave it running. [11:01] <shiftplusone> you lost me at "java"
[11:02] <iKarith> Unfortunately, it's the only implementation that currently exists, the upstream dev says any problems with the code on Linux can be fixed "by the a2cloud guys" (that's me, myself, and I at this point), and frankly I'd just as soon replace the whole flaming mess with a nice bit of python. [11:05] <iKarith> Literally this Raspple II stuff is some nice wrappers around netatalk/samba and some tools to unpack/install old Apple archives on one side, and some very 7-bit-friendly UNIX shell tools and ADTPro on the other. And right now I've got problems with both that require lots of research to solve. [11:07] <iKarith> Figuring out how to better do 7 bit terminal stuff in the modern utf-8 world would be nice, but it's a lower priority right now. [11:10] <iKarith> I drooled over a couple of webpages for those, but I'm not sure yet the intended customer for the things. Not until costs come down a little on them. [12:20] <kiero> hi, is it possible to have volumio playing music from NAS server and also FM Radio? [12:25] <kiero> pksato: what do you mean? [12:28] <kiero> but what did you mean by "more easy to have a portable FM radio"? [13:02] <mlelstv> for arm servers you could look at scaleway or even AWS. [13:02] <mlelstv> might be more interesting than buying it now. [16:40] <DanielTheFox> wait, does AWS has ARM servers? [16:41] <DanielTheFox> 09:35:04 <mlelstv> [06:02:07] for arm servers you could look at scaleway or even AWS. [16:46] <DanielTheFox> further, everybody has cheap baremetal servers anyway-- our computers! [16:46] <mlelstv> your own computer is always cheaper, but only over some time. [16:48] <mlelstv> I was told that scaleway is cheaper. [16:50] <mlelstv> AWS is more flexible. [16:51] <mlelstv> running your own server in a data center is about 1 cent per CPU hour. [16:52] <mlelstv> yes, cloud is more expensive. Mr Bezos wants to become rich. [16:52] <mlelstv> if you run your own operations, you can get it at 1 cent. [16:53] <Khaytsus> Why would you need it to be in your country? [16:54] <DanielTheFox> and somewhat-lower latency for clients in my same country? [16:55] <Khaytsus> What is it you're wanting to do? Why not just a vps? [16:55] <DanielTheFox> maybe I should build my own datacenter with some RPi 3B+? [16:56] <Khaytsus> That seems asinine and insane. [16:58] <Khaytsus> Or ya know, build a real server that can host a thousand times more things. [18:06] <akk> I like supporting local stores when feasible. You can get a look at things, get things quickly, maybe even talk to someone and get advice (if you're lucky and it's a good store). [18:06] <Curi0> how could i fix it ? [21:13] <friendofafriend> Arlenx: Try "sudo bluetoothctl"
[21:13] <hodapp> Arlenx: is the nRF acting as a beacon? [21:19] <hodapp> Arlenx: and what are you trying to do with it? [21:22] <Arlenx> is it correct? [21:25] <hodapp> does hciconfig show that hci0 is up? [21:30] <Arlenx> hodapp, can i monitor the nRF click event? [21:45] <VladTheImplier> Hey all, I got the situation =.= I control LEDs via a pi zero gpio expander. Via sockets. If ask read a GPIO or issue GPIO High/Low commands in a loop, linux (Raspbian) crashes / locks up. It doesn't matter if it's via my C code or if I use pigs in the shell in a loop. The PC just locks up and that's it. Dead till I pull the plug. I have never seen something like this. Can someone help? [21:47] <Habbie> but if pigs also does it..
[21:47] <Habbie> it's an unlikely problem! [22:05] <toastintheshell> VladTheImplier: could it be the sdcard? have you tried this code on a fresh card? 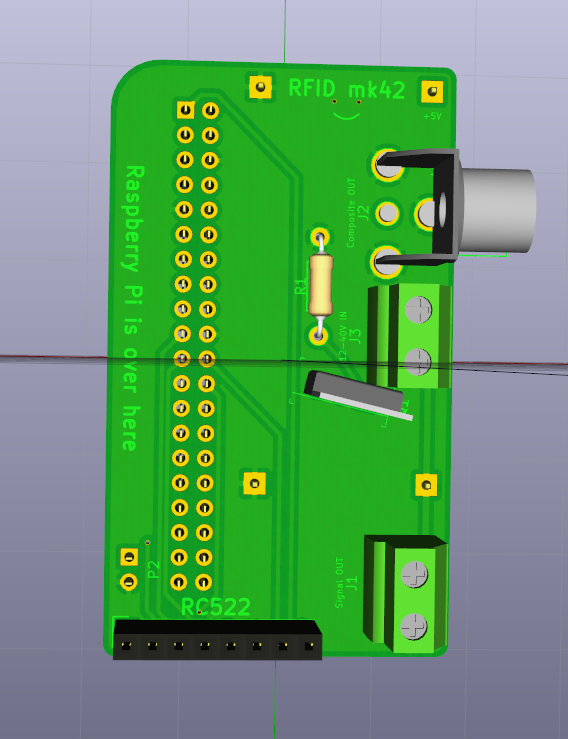 [22:07] <VladTheImplier> toastintheshell: No, the PiZero is used as an USB GPIO expander. no SD cards involved. [22:16] <friendofafriend> Prestige: You can boot from USB on the Raspi 3B+. [22:17] <friendofafriend> The 3+ can boot from USB straight from the factory. The Pi 2B and 3 have to be booted once from SD card. [22:17] <friendofafriend> You're welcome, Prestige. Good luck. [22:35] <Bitweasil> I've not found USB booting to be as reliable as SD card booting. [22:36] <Bitweasil> Just toss an old scrap SD card in for boot. [22:36] <toastintheshell> Bitweasil: I haven't actually tried usb booting yet, what sort of issues are you running into? [22:37] <Bitweasil> If the USB device doesn't initialize fast enough, the Pi won't find it. [22:44] <toastintheshell> Bitweasil: did you try it with a full external ssd? [22:55] <Bitweasil> toastintheshell, I tried it with a USB stick and a USB-to-mSata adapter I had laying around, couldn't get it working on a 3, used the old SD cards I have laying around. [22:56] <Bitweasil> It wasn't worth the effort to spend much time on TBH. [22:56] <Bitweasil> I have a bunch of old 4/8GB microSD cards. [22:56] <Bitweasil> I just put /boot on them. [23:09] <Bitweasil> I'm sure they'd work, but they're more expensive than the cheap adapters that work fine.